economy better in the hills? Redpoint, I understand the variables and was just stating what I have observed so far. I intend to do the comparisons again over the same roads, elevation changes and distances to try and negate wind influences. I was going for a consensus among the more knowledgeable on this subject. tailgate down = lower efficiency seems counter intuitive. Would like to here an explanation on that. tailgate down = lower efficiency seems counter intuitive. Would like to here an explanation on that. "A long-disputed topic among truck owners is whether a tailgate raised or lowered is better for aerodynamics, but Bloch says a tailgate in the up position is more aerodynamically efficient. As air flows over the truck, it falls over the cab and pushes forward on the rear of the truck. With the tailgate down, the benefits of that airflow are diminished. “Replacing the tailgate with an aftermarket net is worse than having no tailgate at all,” Bloch said. “Imagine dragging a solid object and a fishing net through water. The net is going to require more muscle.”"
Finally, I did do another test recently to determine if there would be any savings by lowering the tailgate over about a 180 mile distance (90 miles in each direction during a visit to my daughter). My friend said there wouldn't be any difference. I was surprised to find that mileage got a bit worse by about 1-2 mpg. I suppose it could have come down to using a different diesel fuel brand than usual or a difference in wind direction/speed, so more testing on that would probably be advisable. Counter-intuitive as it may seem, keeping the tailgate up reduces air resistance. The cab creates a turbulent wake and the tailgate more or less confines it. So tailgate down does not help. The thing that struck me in the last graph is how well the cab wing and tonneau cover perform when combined. Last edited by RedDevil; 01-10-2019 at 03:01 AM.. 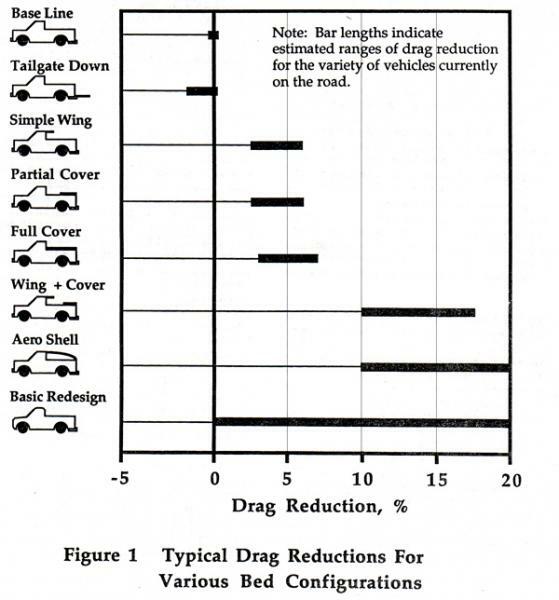 I hadn't noticed, but that graph has the half-tonneau less effective compared to the full tonneau, then the wing and cover is more than twice as effective. I question htat. 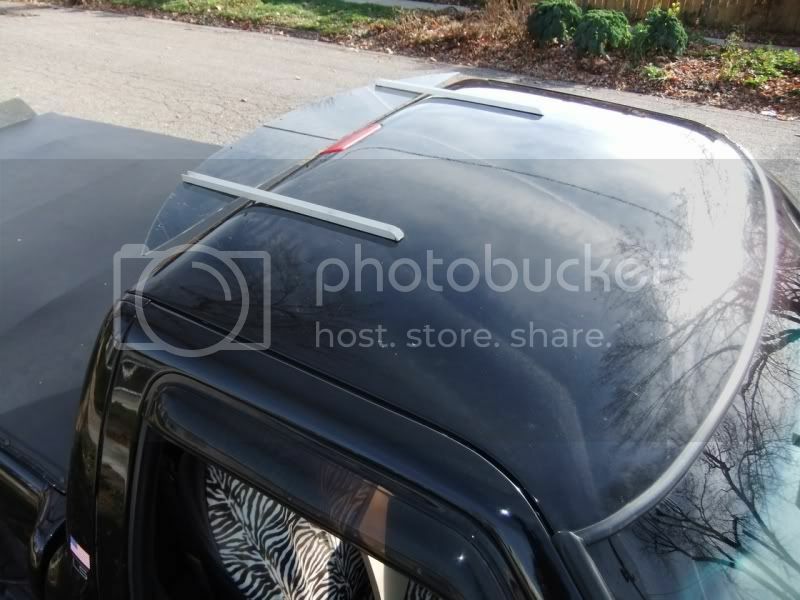 An aerodynamic drag reducing device for a pickup truck includes a tonneau cover which extends between the side walls of the pickup box and forwardly from the tailgate to a distance short of the passenger cab so that the tonneau cover encloses a rearward portion of the pickup box. Tonneau covers enclosing the rearward portion of the pickup box to a range of approximately 40 to 60% of the total length of the pickup box provide a greater reduction of aerodynamic drag coefficient than obtained with a tonneau cover enclosing the full length of the pickup box. Makes sense in my mind why a wing and half cover would be more aero. It more closely follows the aero shell, which is most efficient. Having just purchased my truck recently and assuming people who buy trucks are not generally concerned much about fuel economy, I am a bit surprised with the amount of efficiency testing that appears to have been done on trucks. It is pretty clear that this has been well researched, so, not wanting to spend money or extra effort on additional mods, like bed covers and wings, I will just drive my truck with my gate up from now on. Thanks for your contributions; it has been interesting and educational. We talked about the half-tonneau, but here's something that hasn't been quantified yet. 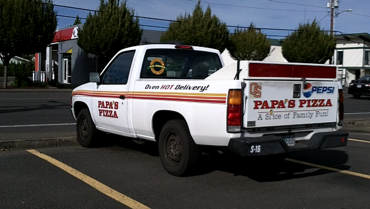 The manager of this pizza parlor agreed that this box over the tailgate improves gas mileage but he didn't know how much. If you look at the full aeroshells that are truncated at the tailgate, they have a curved top edge about 8" high at the center. This may be the simplest way to improve mileage. A base plate that prevents the wake from sucking it's way forward into the bed. "Yeah, keeps the wake from entering the bed."